Full of knots, nail holes, beetle trails and saw marks, our reclaimed antique milled oak is a Fraser feature wall favorite. The boards are cut from materials pulled out of structures throughout the United States- beams, factory floors or homes. 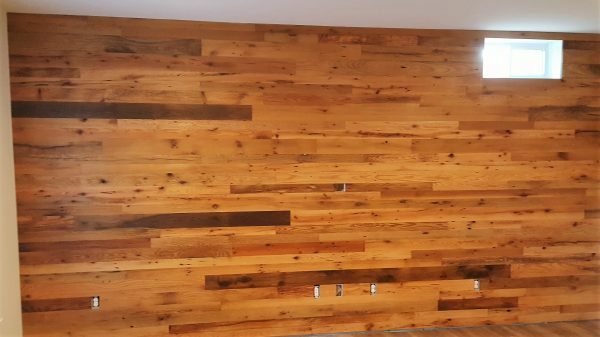 With random board width and length, it can instantly add age and patina to a newly built or current home or office. Product shown is random 3-5″ and random length with natural oil finish, normal lead time is 4-6 weeks, please call for a quote today.